While you might be aware of the new Common Core State Standards (CCSS) in Math and Language Arts, did you know a new set of science standards, the Next Generation Science Standards (NGSS) have been released? These science standards are different than previous standards. The NGSS emphasizes the interconnected nature of science in the real world. Tangibly, this means that engineering, the scientific process, and the ability to articulate, measure, observe, and quantify are integrated with the content areas. Just as the CCSS are cross curricular by including specific sections in language arts on literacy for science and technical subjects, the NGSS concept includes teaching literacy skills and math as part of the study of science. NGSS shifts the standards from a list of content for students to learn towards a set of actions for students to achieve. NGSS also attempts to increase the focus on a few disciplinary core ideas rather than lists of many specific facts. The idea is to help students better see the forest than just the trees. Overall, the shift to NGSS presents many challenges of how to make the curriculum “experiential.” And how to build a curriculum that does not call for an unrealistic amount of out-of-class training and materials. Science4Us is the answer for kindergarten, first, and second grade students. Science4Us is a digitally delivered curriculum designed to provide K-2nd students the foundational science experience they need to be successful. The curriculum is highly engaging with students actively participating in their learning through virtual exploration as well as hands-on investigations and applications. Students are provided opportunities to gather and assimilate information to form their own conclusions and explanations in a highly scaffolded and supportive way. For example, in the States of Matter module, students are given the opportunity to spill different liquids to see what happens. As they make a virtual mess they draw conclusions about the relationship between liquid thickness and spill size. And without leaving the classroom students can experience plants and animals responding to changes in the environment as day turns to night. By blending game based technology and real life opportunities, Science4Us offers students the experiential opportunities needed to successfully accomplish the performance expectations identified in the NGSS. The NGSS outline student performance expectations by grade; however, it is the teachers that will be expected to implement them via lessons and activities. To do this successfully, teachers will need a deep understanding of the content as well as the science and engineering practices that are interwoven throughout the standards. Science4Us provides professional development that highlights common misconceptions, content understanding, best practices and cross content connections. 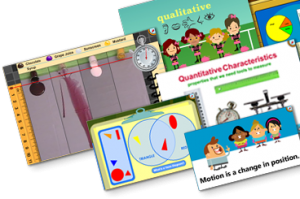 In addition, activity teacher guide and lesson plan provides teachers with the support they need to let their students experience the content in a try, fail, try again fashion. 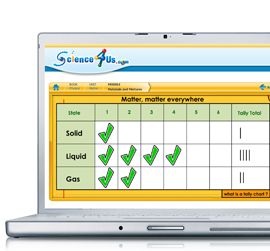 Science4Us provides the foundation teachers will need to change gears from students learning facts and vocabulary to students truly experiencing what they are learning. Some states build upon the NGSS to cater to the additional needs of their students or to reflect their natural ecosystems. Here’s how Florida prioritized their science education standards.